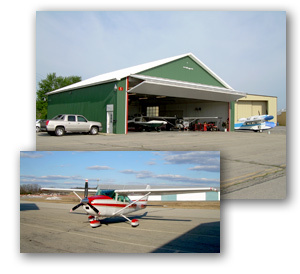 For over 8 years, Leland Aero Service, LLC have provided quality and repair, inspection and modification services to clients within 100 miles of Nashua, NH. The technicians have over 90 years of combined aviation repair services. Owner John Leland has over 35 years experience alone and has had the same customers and clients for over 25 years. Each experience staff and technician has FAA and A&P licenses with Inspection Authorization (IA). Leland Aero Service, LLC is a locally owned and operated business that is fully licensed and insured. They are conveniently located within 40 miles from Boston and 20 miles from Manchester, NH. We have extensive knowledge and experience with providing services to almost any large aviation manufacturing company such as; Cessna, Piper, Mooney and many more. We take every precaution necessary to thoroughly examine you aircraft, so that you can be sure that it is working properly and able to take flight. Please call us today, so that you can speak with one of our helpful representatives to learn how acquiring our services can make you and your aircraft safe.